Philadelphia’s NOTHING has entered Dreamland Studio in Woodstock, NY with producer John Agnello (Sonic Youth, Dinosaur JR, Murder City Devils, Kurt Vile, etc.) to record their third full-length album. The album will see a Spring 2018 release via Relapse Records. 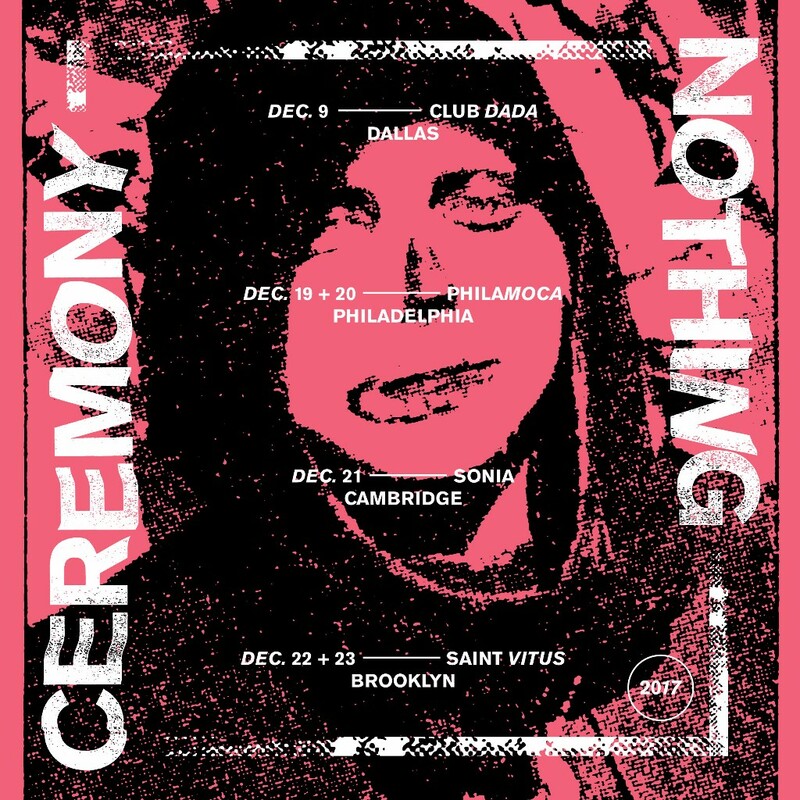 Additionally, NOTHING has announced a brief run of co-headlining dates with Ceremony. The dates kick off December 9th in Dallas, TX. NOTHING will also play a special show with Godflesh and Jesu in Brooklyn, NY on November 5th at Warsaw. A complete listing of dates is available below. Watch NOTHING’s music videos from their 2016 full-length album Tired of Tomorrow here.